Shirts With Random Triangles: Jalen Tabor, decommits from Arizona, commits to Florida. 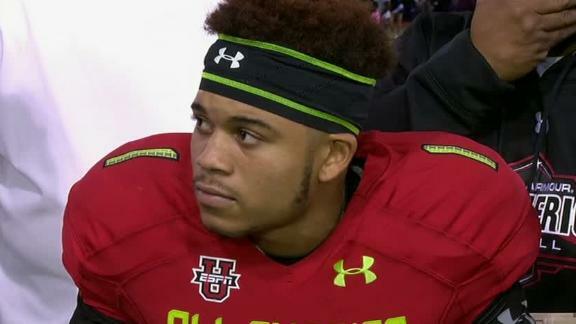 Jalen Tabor, decommits from Arizona, commits to Florida. Florida just pwned Arizona. Washington D.C. high school senior defensive back Jalen Tabor announced via on Twitter Thursday morning that he has flipped his recruiting class of 2014 comittment from Arizona to Florida. His mother confirmed the switch later on Thursday morning. Tabor had committed to Arizona just last week during the Under Armour All-America Game. ESPN ranks Tabor as the #5 high school cornerback in the nation.